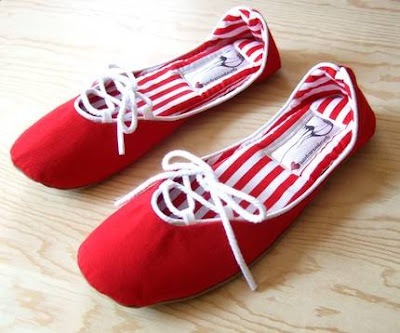 I have a thing for red shoes. It is a completely inexplicable lust. 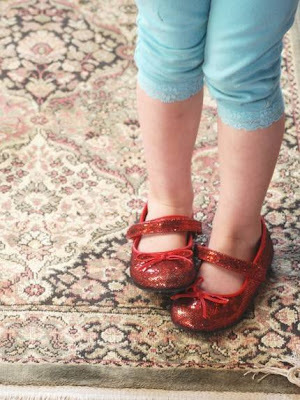 If ever I find the wicked witch crushed under my house, I'd steal her ruby slippers in an instant. Today, share my joy in the fabulousness that is red shoes. 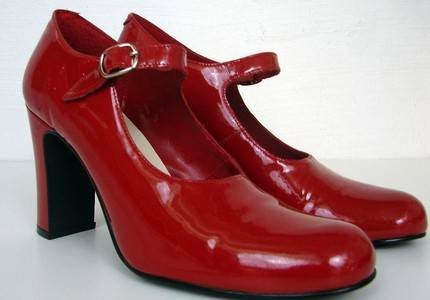 A Mary-Jane style heel in a saucy red gets three check-marks in my book. A gorgeous photo by geekygirl. Lacking the grace of a ballerina, I do still have an affinity for one's footwear. These gorgeous fabric ballet flats have me pirouetting with excitement. I found these in the shop of HydraHeart. Shiny things of course continue to capture my attention, and yowza, shiny and red! 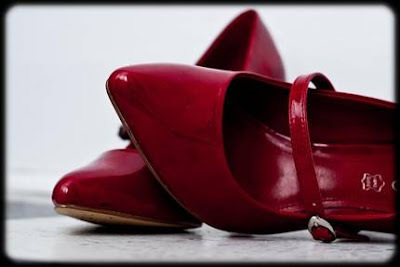 A vintage shoe again in the Mary Jane style, this time is red patent leather can be found in the shop of bottleblondevintage. I'm not sure exactly when my love for red shoes began, but maybe I was as young as little Gianna here. A darling photo by ThatSomething. But then again, maybe I was younger still. 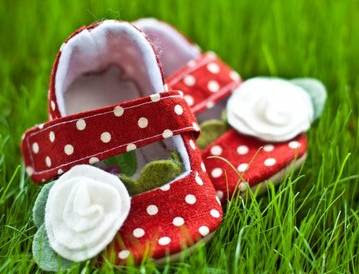 Starting life with such sassy footwear must surely have a lifelong impact! These shoes are from the shop of GraciousMay.